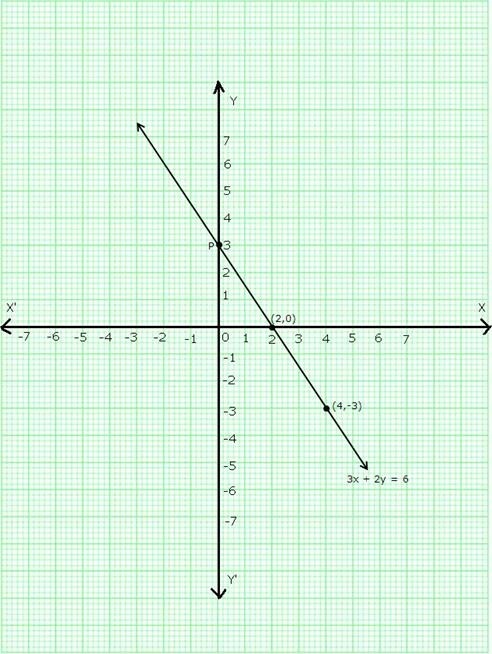 Plot points P(5,1) and Q(5,-1) on the graph paper. Join PQ. 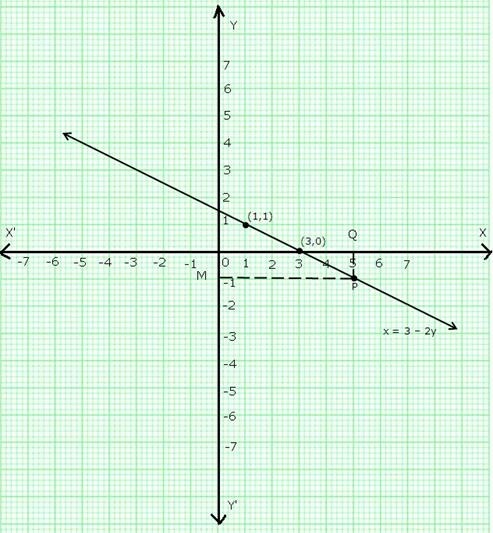 The line PQ is the required graph. Plot points P(-6,1) and Q(-6,-1) on the graph paper. Join PQ. 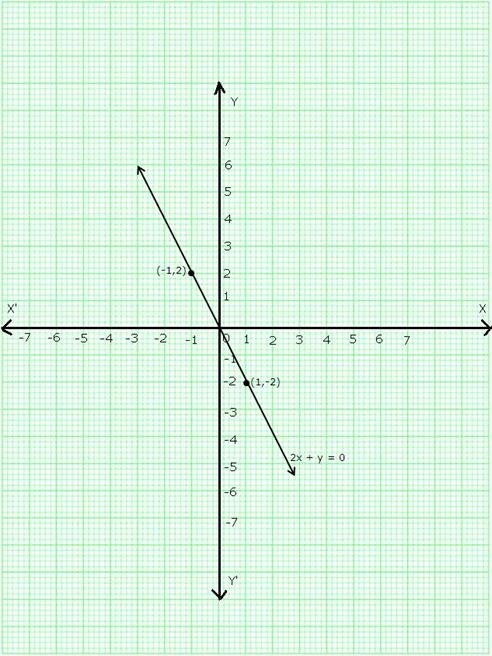 The line PQ is the required graph. Plot points P(-7,2) and Q(-7,1) on the graph paper. Join PQ. 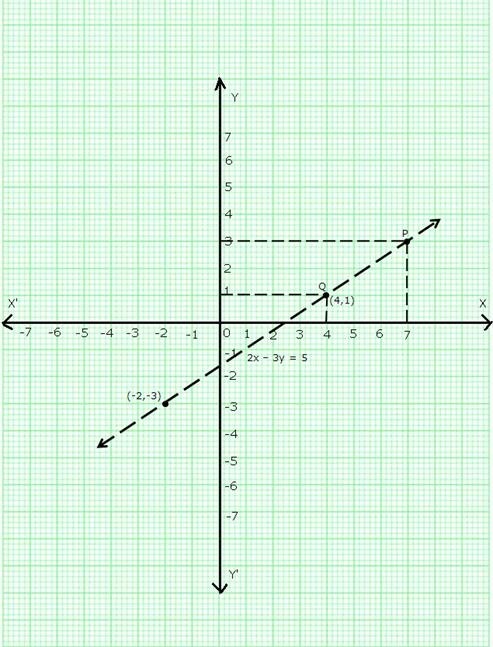 The line PQ is the required graph. 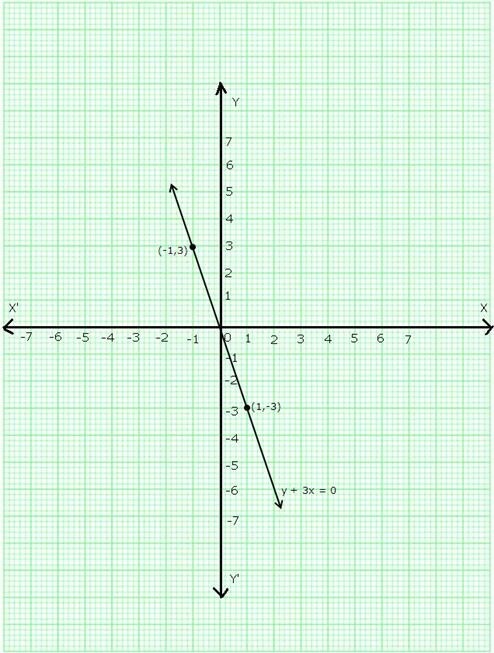 x = 0 represents the y-axis. Plot points (1,3) and (2,6) on a graph paper and join them to get the required graph. 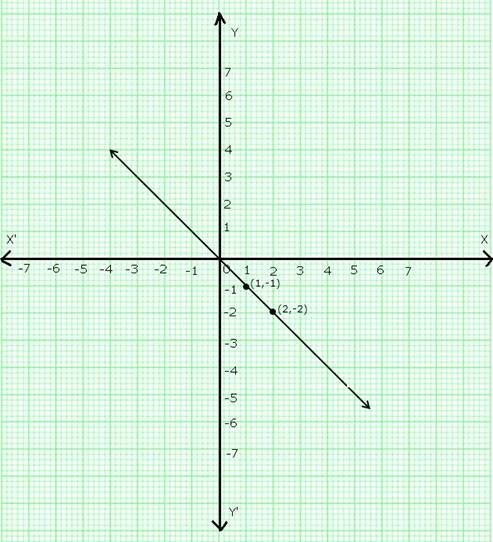 Take a point P on the left of y-axis such that the distance of point P from the y-axis is 2 units. 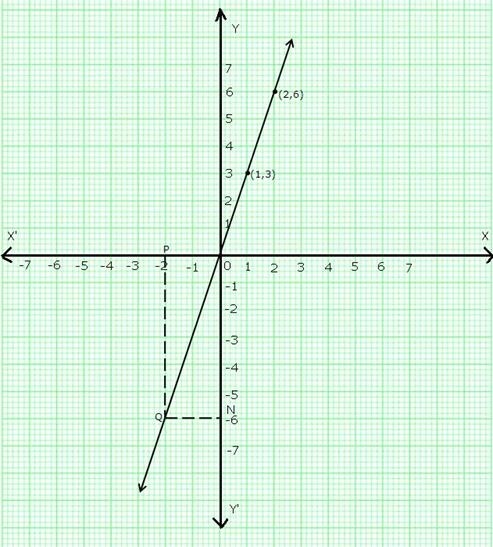 Draw PQ parallel to y-axis cutting the line y = 3x at Q. 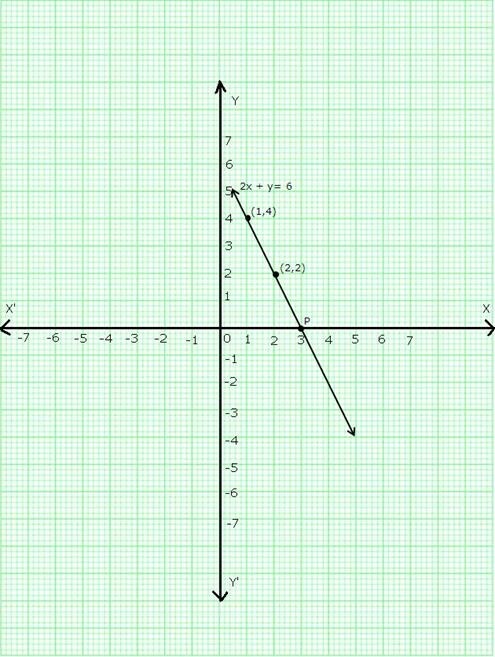 Draw QN parallel to x-axis meeting y-axis at N.
So, y = ON = -6. Plot points (1,1) and (3,0) on a graph paper and join them to get the required graph. 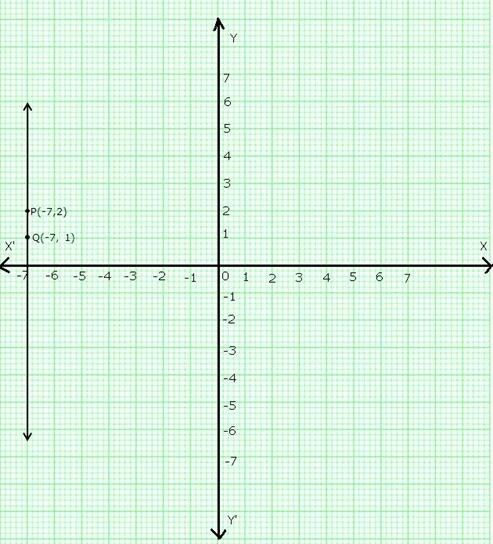 Take a point Q on x-axis such that OQ = 5. Draw QP parallel to y-axis meeting the line (x = 3 – 2y) at P. Through P, draw PM parallel to x-axis cutting y-axis at M. So, y = OM = -1. Plot points (1,1) and (2,2) on a graph paper and join them to get the required graph. 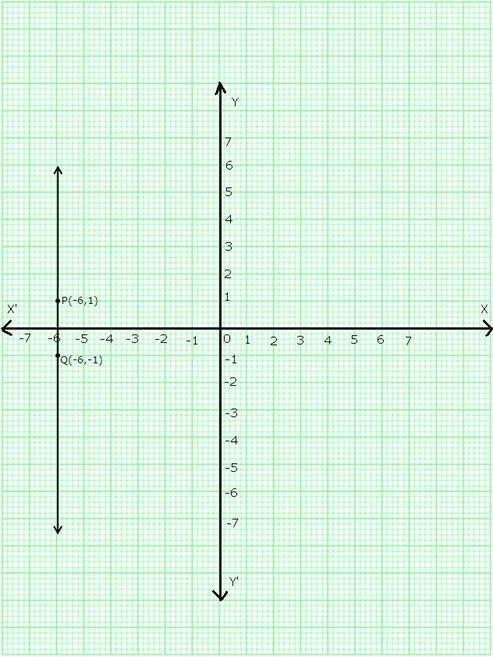 Plot points (1,-1) and (2,-2) on a graph paper and join them to get the required graph. Plot points (1,-3) and (-1,3) on a graph paper and join them to get the required graph. 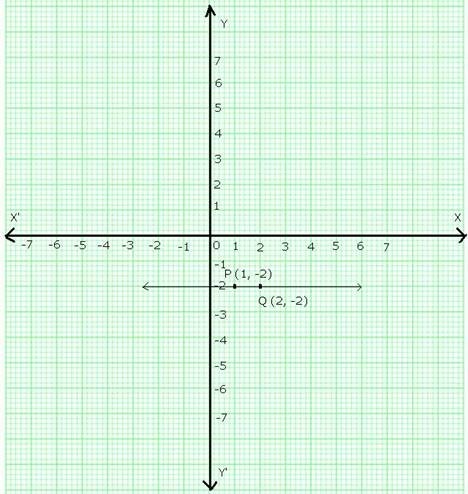 Plot points (3,-2) and (-3,2) on a graph paper and join them to get the required graph. Plot points (2,3) and (-2,-3) on a graph paper and join them to get the required graph. Plot points (1,-2) and (-1,2) on a graph paper and join them to get the required graph. 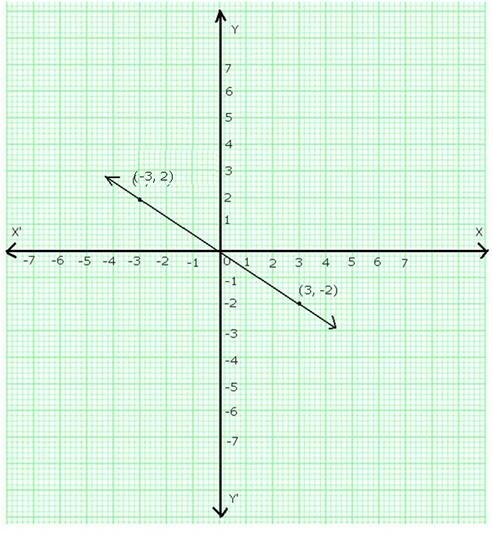 Plot points (4,1) and (-2,-3) on a graph paper and join them to get the required graph. 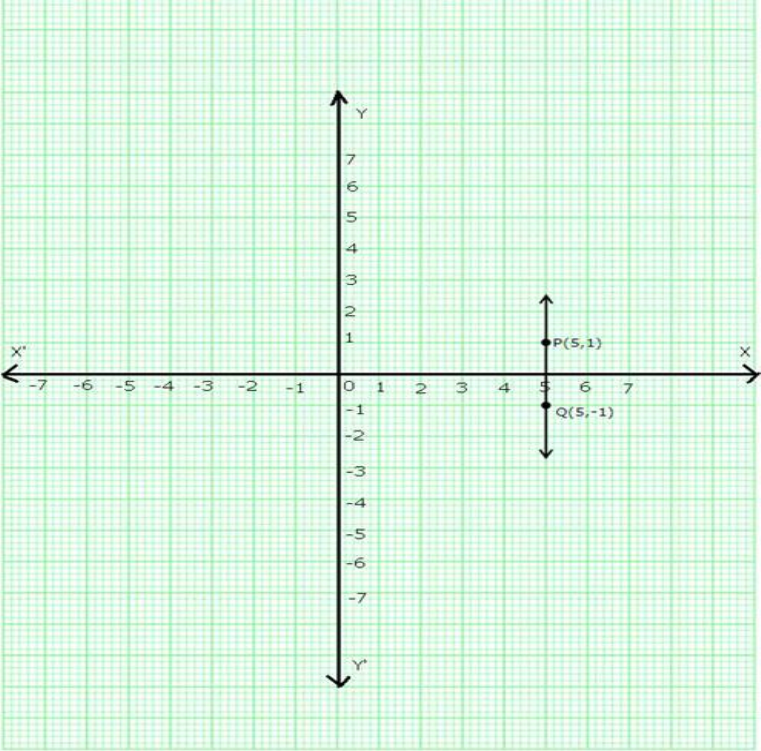 When x = 4, draw a line parallel to y-axis at a distance of 4 units from y-axis to its right cutting the line at Q and through Q draw a line parallel to x-axis cutting y-axis which is found to be at a distance of 1 units above x-axis. 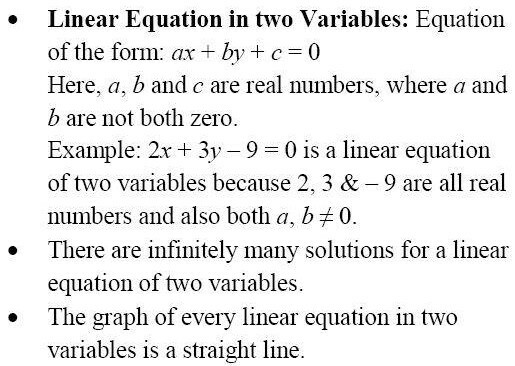 Thus, y = 1 when x = 4. 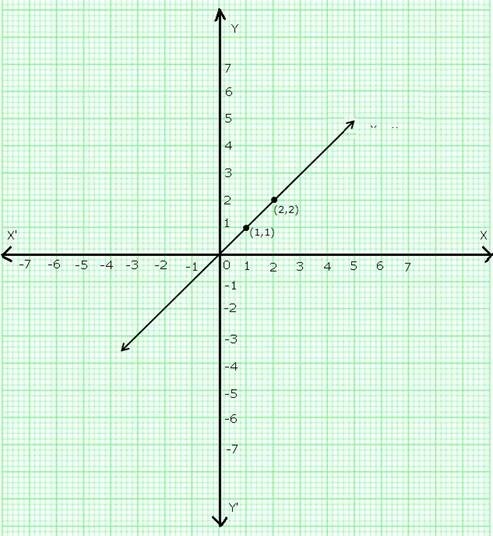 When y = 3, draw a line parallel to x-axis at a distance of 3 units from x-axis and above it, cutting the line at point P. Through P, draw a line parallel to y-axis meeting x-axis at a point which is found be 7 units to the right of y axis. 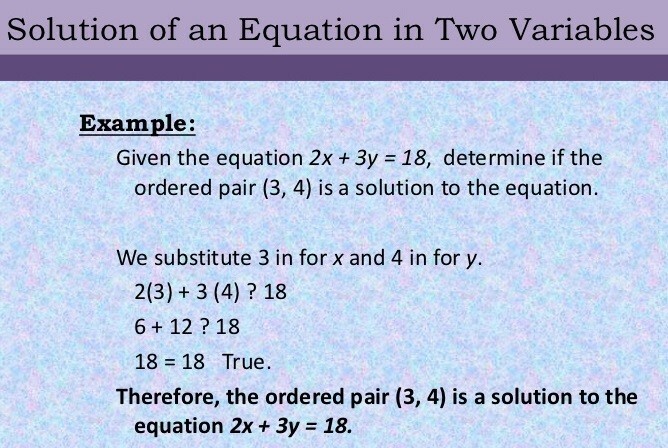 Thus, when y = 3, x = 7. Plot points (1,4) and (2,2) on a graph paper and join them to get the required graph. We find that the line cuts the x-axis at a point P which is at a distance of 3 units to the right of y-axis. So, the co-ordinates of P are (3,0). 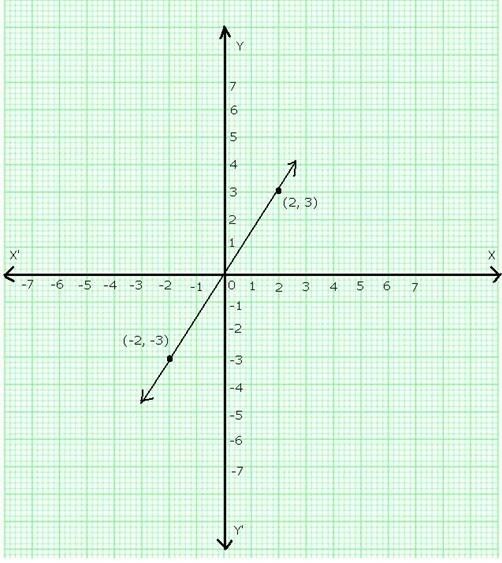 Plot points (2, 0) and (4,-3) on a graph paper and join them to get the required graph. We find that the line 3x + 2y = 6 cuts the y-axis at a point P which is 3 units above the x- axis. So, co-ordinates of P are (0,3).